Normally I buy thread at Joann. Usually Gutermann, but only if it’s on sale or w/a coupon as the regular price for the big cotton spool (876 yd) is $7.79! 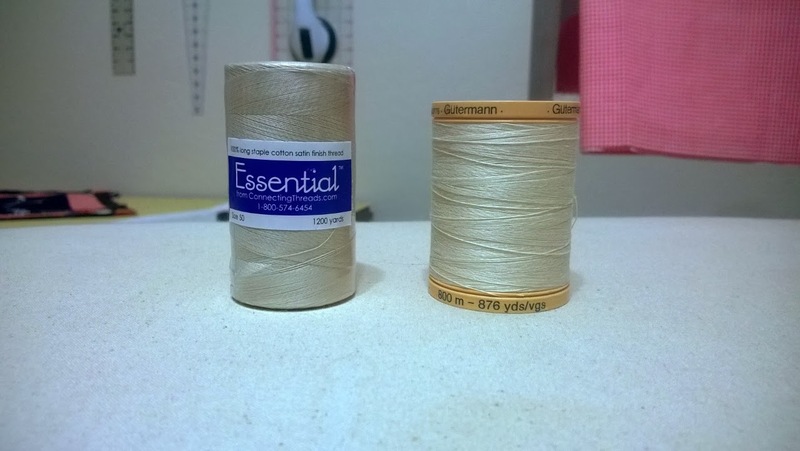 I read about Essential Quilting Thread from Connecting Threads here and decided to try it. I had never ordered thread online…but I’m so glad I did! I know this sounds crazy…but it’s true! Their 1200 yd spool of Satin finish, double mercerized, extra long staple, 100% cotton, size 50/3 thread is only $2.79 a spool! And it fits standard sewing machine spindles! AND they have colors galore! 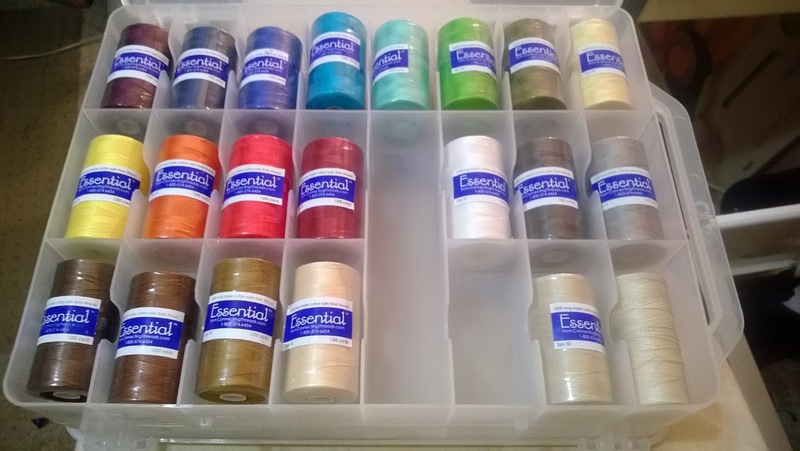 AND AND…a couple of weeks ago, they had oodles of colors on clearance for $1.67/spool!! Needless to say…I bought some…a bunch. « More Progress and Yet Another Distraction! I began using Essential Quilting Thread about two months ago, and I LOVE it! I tried this a long time ago and my machine just wasn't having it! I was so bummed, it's such a great price! I have used this thread for years…keep a watch,out, they often have it on sale for $1.99 a spool! I luv it too! I usually stock up when it's on sale or clearance! I am really enjoying your scripture verses. Those are the threads on which we can rely; they will never break. Hugs! I'm glad to hear this. They are meant to comfort and encourage. Amen! My LQS sells Mettler, so I usually use that for piecing quilts, but I just used Aurifil for the first time to free-motion quilt and loved it. It was exciting to get through a whole bobbin without my thread breaking.